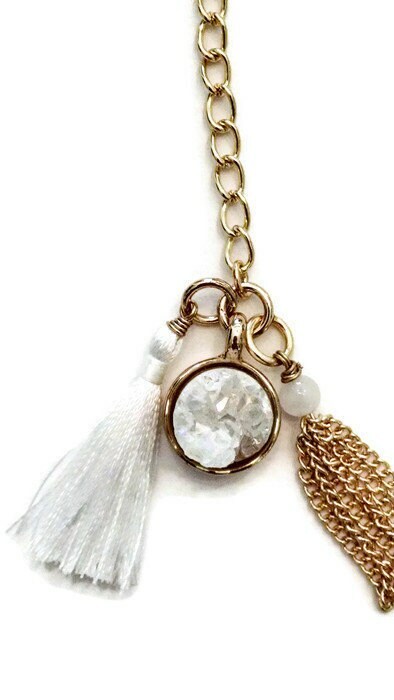 This charm has a white druzy stone in a gold color setting. 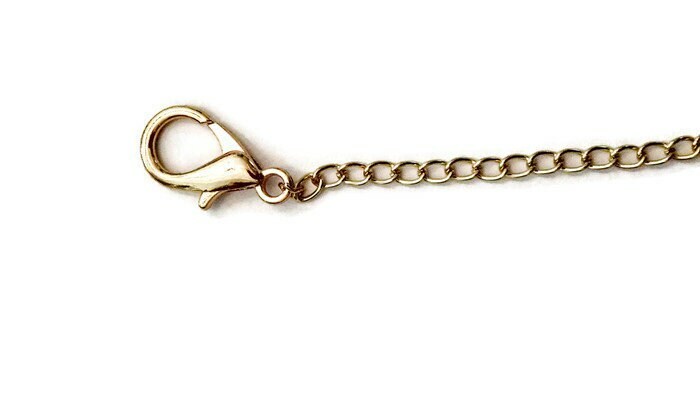 The chain is gold color and the clasp is a lobster claw. 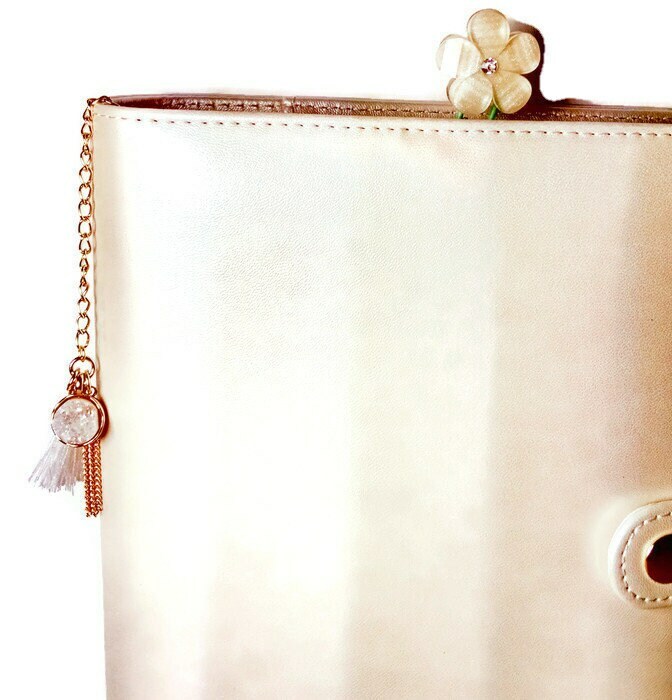 The charm has one white thread tassel and one gold color chain tassel. Perfect for any ring, spiral or coiled planner, purse or bag. Also makes a great gift! PLEASE NOTE: Each item is handmade and are not identical. The item is gold in color, not actual gold. I try my best to represent the items’ true color however the actual colors may vary from the photos due to monitor and screen resolution differences. 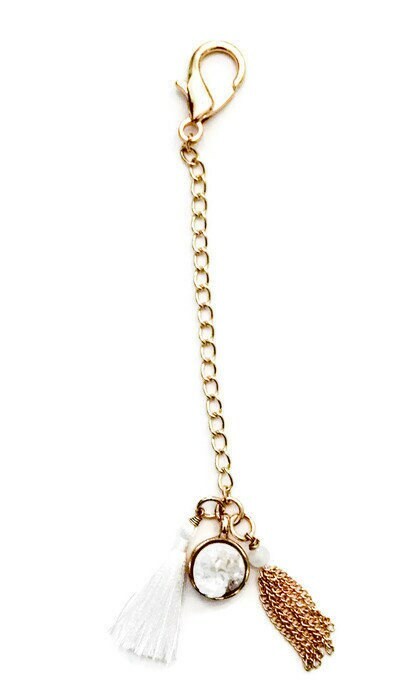 All items are shipped for FREE within the U.S.
i love this little charm. its so delicate and lovely. its beautiful! Thanks so much!